The National Agricultural Aviation Association’s 48th Annual Convention and Exposition kicked off this week in Louisville, KY. Here are our picks for five exhibits you won’t want to miss. Of course, we would be remiss if we didn’t also mention that you can find Hartzell in booth 1203. Stop by and talk shop with our team of propeller pros! 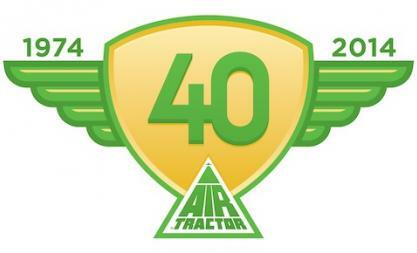 This year marks Air Tractor’s 40th year of producing aircraft for discerning pilots around the world. It also marks the 40th anniversary of the manufacturer’s collaboration with Pratt & Whitney Canada. Together, these firms have made Air Tractor the world’s most popular brand of agricultural aircraft. Need another reason to check out the booth? It may be a historic anniversary for Thrush Aircraft’s biggest competitor, Air Tractor, but the Thrush team is gearing up to make NAAA 2014 a convention to remember. They are occupying the largest space in the exhibition hall, and we’re willing to bet that will be a space to watch during the convention. Pratt & Whitney Canada is bringing the PT6’s 50th anniversary celebration to NAAA 2014 in a big way. Head to their booth for tech demos and a chance to get pictures with Dusty Crophopper, the main plane from Disney’s Plane’s Fire and Rescue. You can also find PT6 Nation’s special coverage of NAAA on their website at PT6nation.com/en/NAAA. The feed of Instagram photos tagged with #NBAA14 is especially awesome. The annual NAAA awards recognize outstanding contributions to the field of agricultural aviation. Identifying the industry’s best and brightest is fun, but it also reminds us all to hold ourselves to the highest standards possible. Check it out, even if it’s just to see who you want to beat out next year! This has been a perennial highlight of past NAAA conventions. The donated auction items have included some incredible finds in the past, and the opportunity to attend a live auction should never be passed up. It’s exciting even when the convention isn’t in an auction mecca like Louisville. Plus, all the proceeds benefit NAAA’s mission to support agricultural aviation.